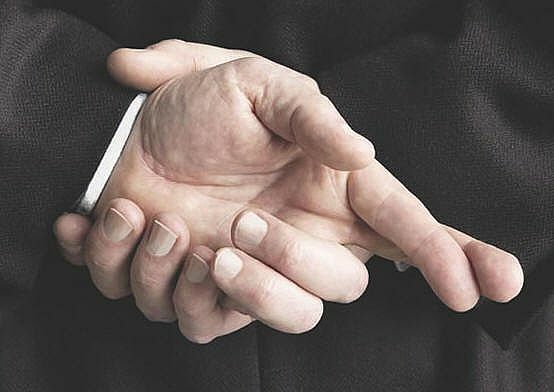 The basic principle concerning telling lies is that it is one of the signs of the hypocrites, because the Prophet (peace and blessings of Allaah be upon him) said: “The signs of the hypocrite are three: when he speaks, he lies, when he makes a promise he breaks it, and when he is entrusted with something he breaks that trust.” Narrated by al-Bukhaari, 32; Muslim, 89. 1- When a person is intermediating in order to bring about reconciliation between two disputing parties. 2- When a man speaks to his wife, or a wife to her husband, concerning matters that will increase the love between them. Shaykh al-Albaani said: it is hasan. Read about white lies here. Abu Hurairah narrated that Abraham (peace be upon him) did not tell a lie except on three occasions, twice for the sake of Allah, Exalted and Almighty. The first time was when he said: “I am sick.” When his people were holding a festival in honor of their gods, Abraham excused himself by saying he was sick. So the tyrant sent for Abraham and asked him about Sarah asking, “Who is this lady?” Abraham said: “She is my sister.” Abraham went to Sarah said “O Sarah! There are no believers on the surface of the earth except you and me. This man asked me about you and I have told him that you are my sister. Do not contradict my statement.” The tyrant then called Sarah. When she went to him, he tried to take a hold of her with his hand, but his hand got stiff and he was confounded. He asked Sarah: “Pray to Allah for me and I shall not harm you.” Then, Sarah asked Allah to cure him and he got cured. He tried to take hold of her for the second time, but his hand got as stiff as — or stiffer — than before, and he was once more confounded. He again requested Sarah: “Pray to Allah for me, and I will not harm you.” Sarah asked Allah again to cure him, and he became all right. He then called one of his guards who had brought her and said: “You have not brought me a human being but have brought me a devil.” The tyrant then gave Hajar as a maid servant to Sarah. Abraham, gesturing with his hand, asked: “What has happened?” She replied: “Allah has spoiled the evil plot of the infidel or immoral person and gave me Hajar for service. These “lies” were, in fact, not lies at all. They were merely allusions and ambiguous statements. When he said to his idolatrous people: “I am sick” [Sûrah al-Sâffât: 87], he intended to insult their idols, of which he was sickened, and to support Allah’s religion. He wanted to show them the falsehood of their idolatry. When Abraham destroyed the idols of his people, he left the largest idol standing. When his people confronted him and accused him, he said: “Nay! It was done by this largest one of them.” [Sûrah al-Anbiyâ’: 63] By this, he intended to show them clearly that their idols could not actually talk or act or help themselves in any way, and that they were the same as any other pile of rocks. He was forcing them, in this way, to admit that their idols were helpless. As for his saying to his wife: “Tell him that you are my sister”, we have already seen how he was referring to her being his sister in faith. The person who’s fasting MUST avoid major sins e.g. lying, and all sorts of evil actions. Repeat the last phrase: “..so long as you avoid major sins”. Lying is a major sin. It’s the trait of a hypocrite. And there are many punishments prescribed for it. But there are further divisions and degrees of lying. Among the highest ones is: lying against the Prophet (SAW). It includes misquoting him/telling a lie to dis him. The punishment is grave. Even more than a regular lie.. Lesson: be careful while quoting Prophet (SAW)’s Ahadith. If there’s no reference, do not pass it on. If it’ not authentic, don’t even believe in it. This is a serious matter, so take it seriously!